It seems like I can't keep my hair the same for very long, can I? I recently decided to dye it pink! 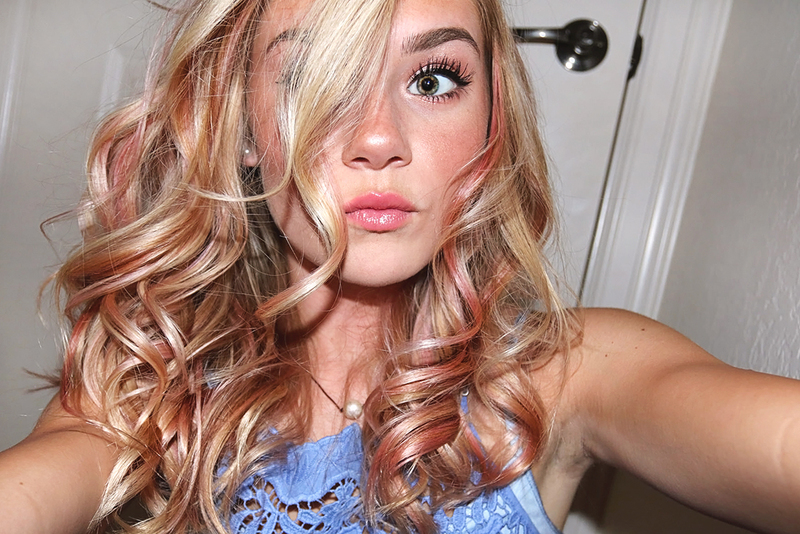 I was aiming for a cotton candy color and that's exactly what I got, so I really like the way it turned out. 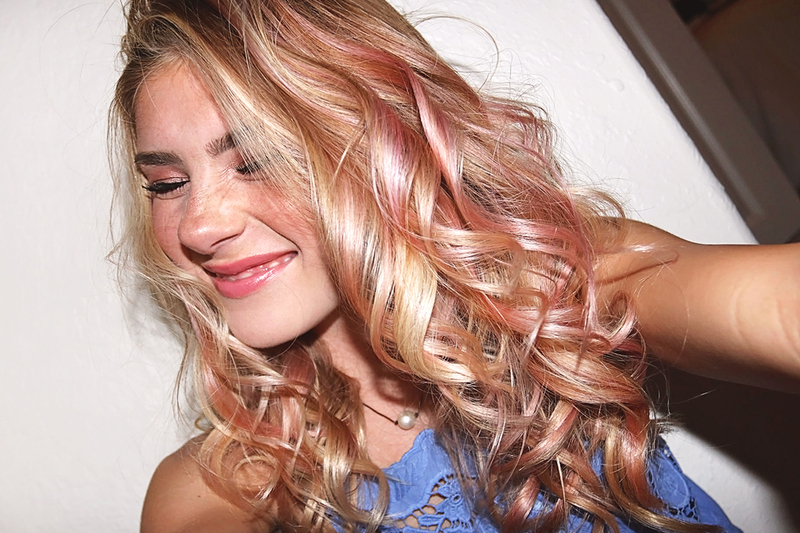 If you want a similar look and already have blonde hair, read on for my pastel pink hair dye tips. 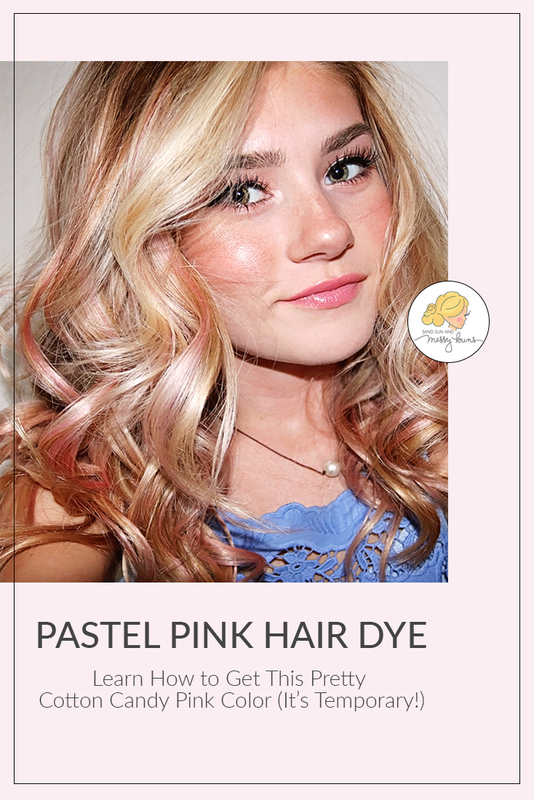 If you find my pastel pink hair dye tutorial helpful, please share this image on Pinterest! Just so you know, I'm not trying to exclude anybody! Sadly, the light pink color simply won't show up on darker hair. You'd have to bleach your hair first for such a light color to show. So, that's why this is only a tutorial for blondes or for those who at least have a few blonde highlights. I added the pink color on select strands only and let my blonde highlights shine through everywhere else. The results can be seen in the pictures above. My hair stayed that color for a few days only and then it faded away. First things first, make sure you wear an old shirt and use old towels, because this dye does stain fabric. Select your color. I used Color Brilliance in Pink Flamingo from Sally Beauty Supply. It's a semi-permanent hair dye, because I wasn't sure I wanted a long-term commitment. 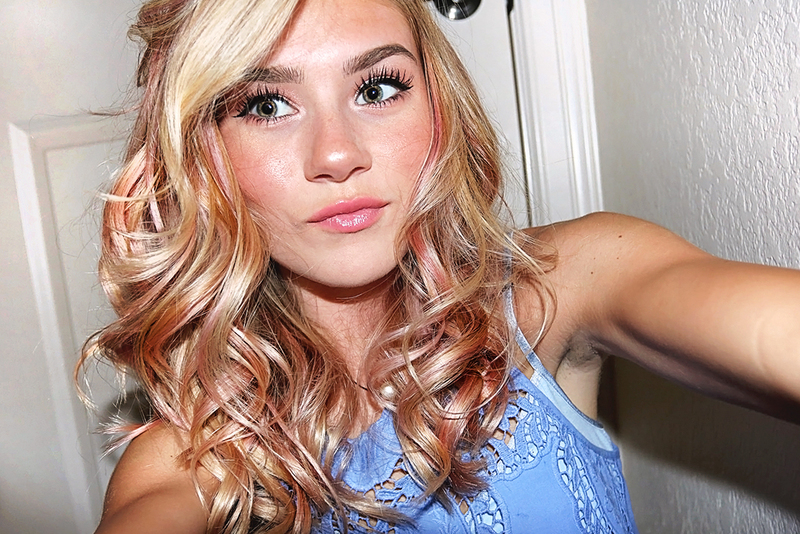 For a spray-on option, I really like Kristen Ess Rose Gold Temporary Tint, which you can find at Target. Make sure you start out with clean, dry hair. I don't like to wash my hair too much in the days following a dye job, because it will fade the color faster. You can skip pre-conditioning, because the color will adhere better if your hair is porous. Conditioning seals it too much. Paint the color onto hair using your fingers. Make sure to protect them with thin gloves. Select random strands and add as much or as little color as desired. Let the color sit for a really long time. The longer you leave it on, the more saturated it will become…to a certain extent. I left mine in for approximately 4 to 5 hours! I wrapped my hair in a towel (so I wouldn't accidentally get pink dye on the couch) and then went about my day. Rinse hair well using cool water. Be prepared to have a really pink shower! I added a lot of conditioner when I rinsed my hair so it would be really soft and easy to comb. I've been using Macadamia Moisture Masque recently for deep conditioning and I think it does a good job. 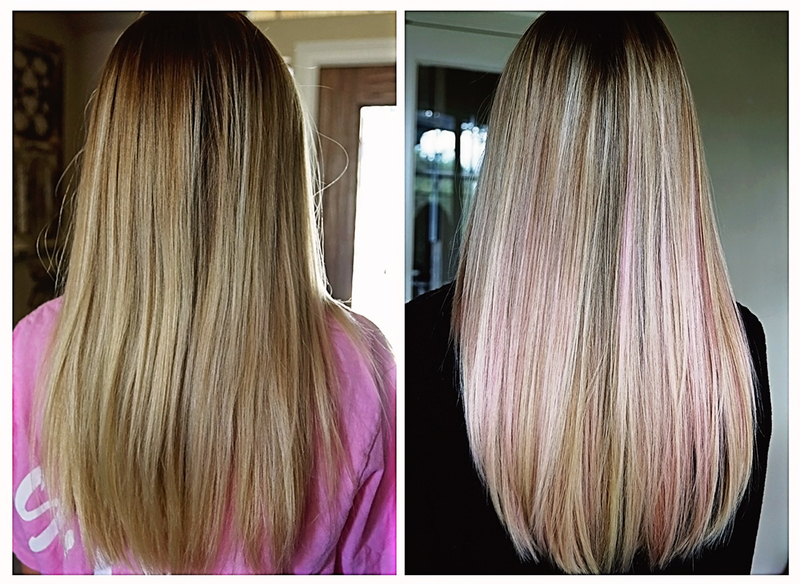 Here's a before & after shot of the pastel pink hair dye on my blonde hair. These shampoos and conditioners help maintain — or even slowly build — the pink tones in your hair each time you wash or condition your hair. If you want to stretch the life of a temporary hair color, I suggest using one of these a few times each week. I hope these tips were helpful! 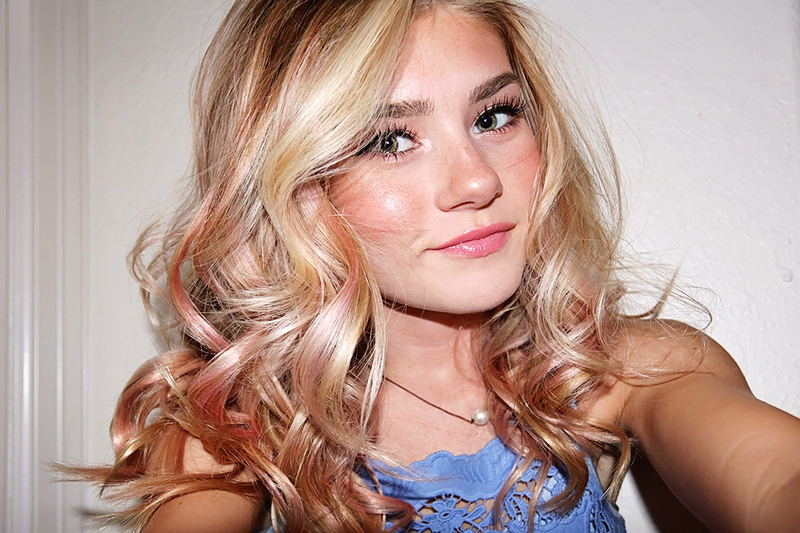 If you have any questions about what I did to get my pink hair, just let me know in the comments below. Thanks, Cheryl! It’s exactly what I wanted. Oh my gosh you are so darn cute!!! I love the pink hair.